HOW SHAKESPEARE’S DARK LADY FOUND GOD. JUST HOW GAY WAS THE THIRD EARL OF SOUTHAMPTON? KING LEAR BACKGROUND AND ORIGINAL ENDING. WILLOBIE HIS AVISA DECODED: SHAKESPEARE’S DARK LADY, AEMILIA LANYER, IS THE SECRET AUTHOR!!! « 25,000 Views as Britain and America affirm their Special Relationship…. The Dedication to ‘Shakespeare’s Sonnets’ Decoded….. 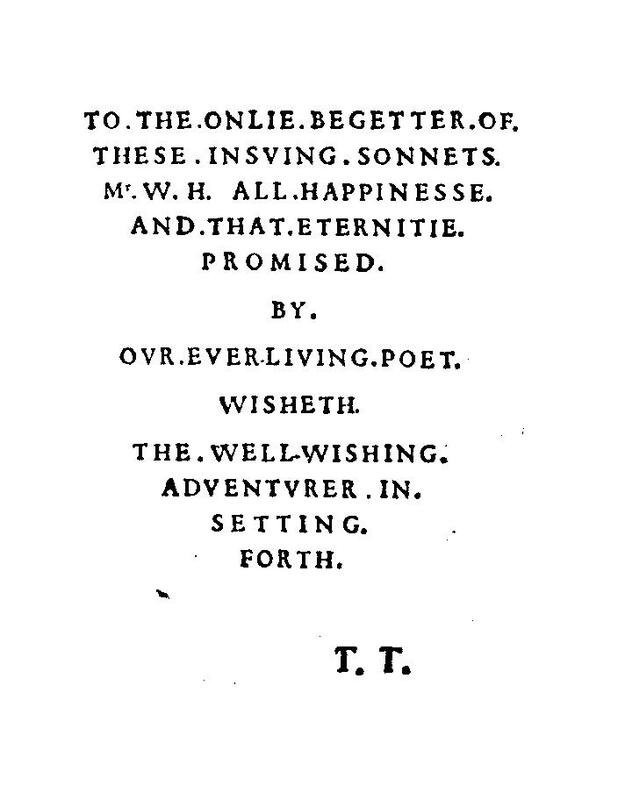 The Dedication to the First Edition of Shakespeare’s Sonnets…. …..is one of the greatest literary mysteries of all time…. What does ‘only begetter’ mean? Who is ‘Mr. W. H.’? Why is ‘all happiness’ wished to him and by whom? What ‘eternity’ did ‘our ever-living poet’ ‘promise’ to him? Who is the ‘ever-living poet’? Who is the ‘well-wishing adventurer’? Who is ‘setting forth’ and why? YOUR CAT, TRIXIE, WORKING IN CLOSE COLLABORATION WITH THE AGENTS OF THE SHAKESPEARE CODE, HAS THE ANSWERS!!! The last question – ‘Who is T.T. ?’ – is the one that is most easily explained. 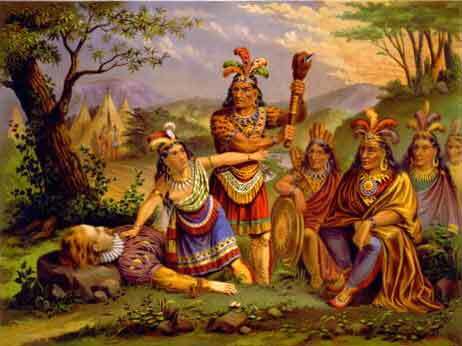 ….states that the poems were printed by G. Eld for T.T. Eld was the printer and ‘T. T.’ (Thomas Thorpe) was the publisher. The ‘ever-living’ poet, The Code believes, is William Shakespeare…..
By 1609 Shakespeare was so famous the publisher did not have to use his Christian name on the Frontispiece…. And Shakespeare himself proclaims his immortality in his Sonnets…. And he says of Sonnet 18…. But before Your Cat supplies the answers to the other, more complicated questions which the Dedication poses, she would like to draw the attention of all Brothers and Sisters to another Dedication…. …..also published by Thomas Thorpe two years earlier in 1607…. Dedicates both him and himself. In this Dedication, Jonson names the Dedicatees first – the ‘famous’ Universities of Oxford and Cambridge….. He then describes what they have done to merit a Dedication…..
Then, as the Dedicator, he describes himself as…. Put more plainly, the Dedication reads…. 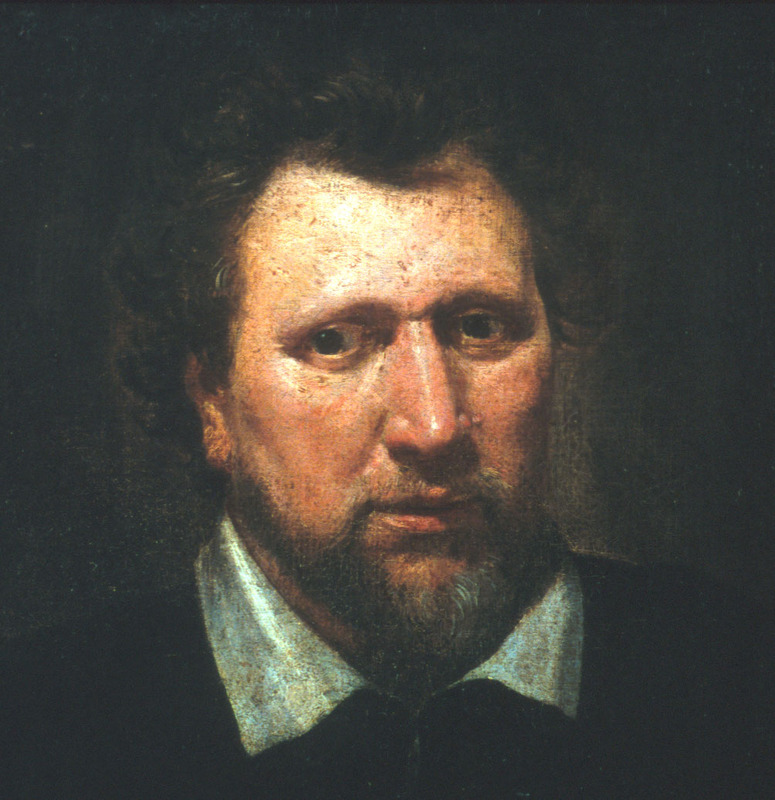 Ben Jonson, the grateful acknowledger, dedicates both him and himself to the two famous Universities for the love and acceptance shown to him and his poem. the only begetter of these ensuing sonnets…. all happiness and that eternity promised by our ever-living poet…. Then as Dedicator, he describes himself as…. To understand who ‘Mr. W. H.’ is we must first dispel a myth…. …..even though she was barred from attending lectures…. 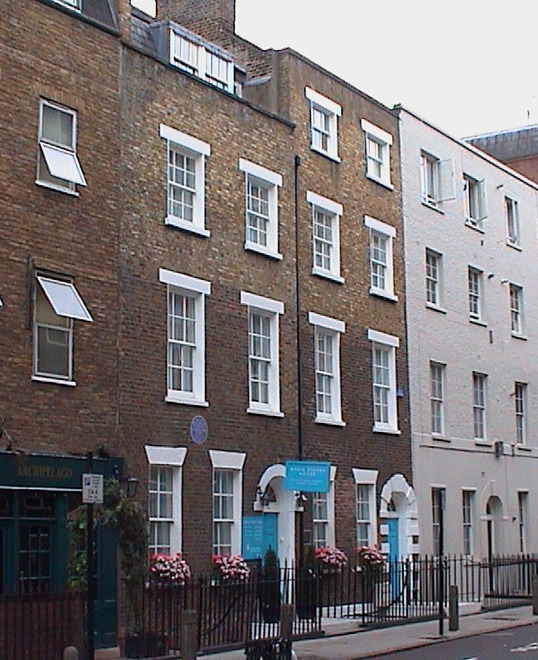 She was the mother of the visionary, birth control advocate, Marie Stopes…..
…..who to this day has a clinic named after her in Whitfield Street in London…. However, Stopes, great woman that she was, had a romantic view of how the Sonnets came to be published…. She thought that Mary Southampton, the Third Earl of Southampton’s mother, was in possession of all Shakespeare’s Sonnets in manuscript…. When she died her third husband, William Harvey, a ‘family friend’, found them and published them because he did not want to…..
MUCH AS TRIXIE ADMIRES YOU…..
SHE KNOWS FOR CERTAIN THAT THIS CANNOT BE TRUE…. SHAKESPEARE PUBLISHED HIS SONNETS HIMSELF!!! Thomas Heywood, a contemporary of Shakespeare……. ……..was a writer and playwright…. ….my good friends and fellows, the City Actors…. In a letter to one Nicholas Oake at the conclusion of the pamphlet, Heywood describes how William Shakespeare was…. 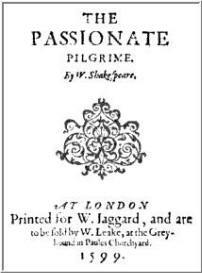 Jaggard (a publisher) had used Shakespeare’s name to promote a collection of poems called The Passionate Pilgrim without Shakespeare’s permission…..
….to do himself right, hath since published them [the Sonnets] in his own name’. …….writing c. 1614, also states…. The last we have are Sir William Alexander and Shakespeare, who have lately published their works…. 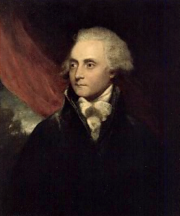 Harry Southampton hated his young step-father so much that the Earl of Essex had to intervene…. And there is no reason at all why Mary, Countess of Southampton (who left Titchfield in 1594 to live at Copped Hall in Essex) should have a complete collection of the Sonnets…. Most were love letters written to individuals (including Mary’s son, Henry Wriothesley) and often contain homosexual banter…. Shall reasons find of settled gravity….. In Sonnet 135 he asks the Dark Lady, Emilia Bassano…. And in my will no fair acceptance shine?…. Mary Countess of Southampton, though a committed Catholic, was a broad-minded woman of the world…. But would Shakespeare really send her Sonnets like these? ……to try to get him interested in girls…. 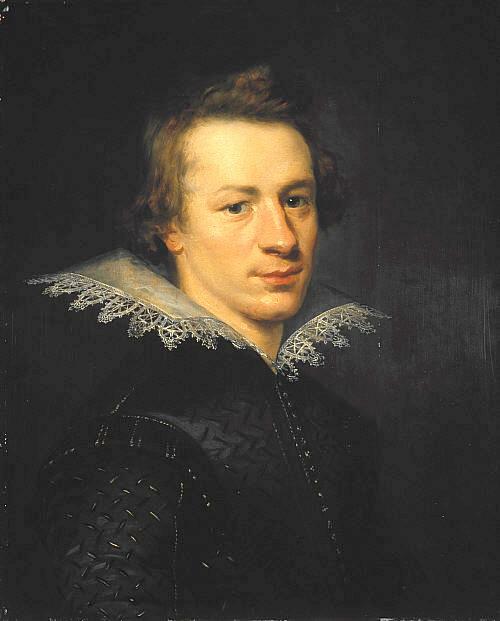 Lord Burghley at the time wanted Harry to marry his grand-daughter: but Harry was more interested in Shakespeare…..
Harry was 17 in 1590, two years after the Armada. We know from the anonymous satirical play Histrio-Mastix that theatre folk had become unfashionable during the invasion scare…..
…..they were thought of as effete and useless….. 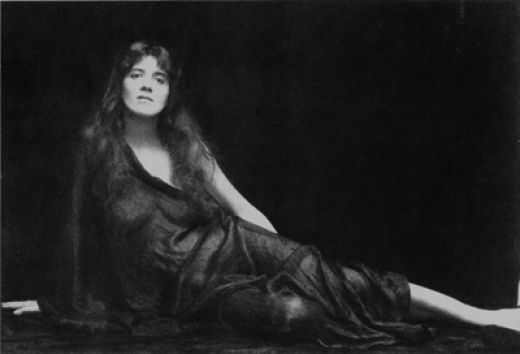 So many playwrights sought work as tutors in great households…. Thomas Kyd, it seems, went to work for Lord Strange and Christopher Marlowe for Bess of Hardwick. Shakespeare, The Code believes, went to work for the Countess of Southampton…. Sonnet 13 in the Birthday Sequence, refers to Harry’s dead father, the 2nd Earl…. And Sonnet 3 refers to Harry’s widowed mother, Mary…. Calls back the lovely April of her prime…. In later Sonnets, Shakespeare refers to the lovely boy’s feminine beauty…. In Sonnet 20 he describes how the boy has…. …..and goes on to describe him as…. This is certainly borne out by contemporary paintings of Harry Southampton…. So who is Mr. W. H.? The Code believes that Mr. W.H. 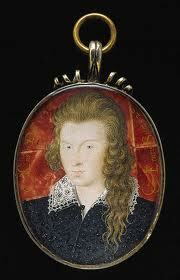 is none other than Harry (Henry Wriothesley) himself…. 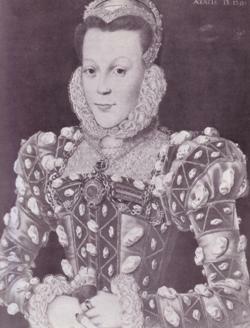 In a satirical attack on Harry in the anonymous Willobie his Avisa, published in 1594, there is a description of Shakespeare and Harry’s love-triangle with the Dark Lady, Emilia Bassano. Shakespeare is described as W. S. An Old Player…. 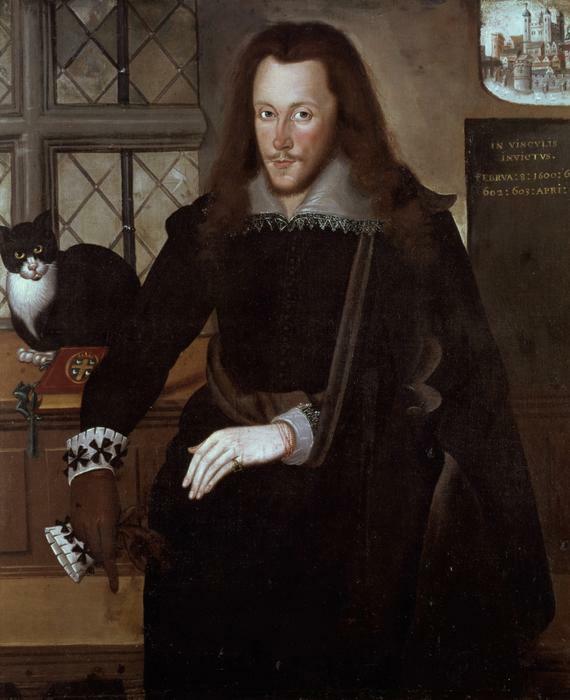 And Henry Wriothesley as Mr. W. H….. He is also described as Italo-Hispalensis. Italo-Hispalensis is a reference to the trip to Spain and Italy that Harry and Shakespeare made the year before (1593). Indeed, in Sonnet 2o Shakespeare himself plays on the ‘H’ and ‘W’ of Henry Wriothesley when he writes…. A man in hew all Hews [Shakespeare’s punctuation and italics] in his controlling…. But to make the identity of the Dedicatee even clearer, Thomas Thorpe describes Mr. H. W.’ as the ‘only begetter’ of the Sonnets. Time and again in the Sonnets, Shakespeare names the lovely boy as the source of his inspiration…. And in Sonnet 78 he directly states…. Shakespeare’s art is ‘born’ of Harry – that is why Harry is the ‘only begetter’ of the Sonnets. Shall I compare thee to a summer’s day…. ……. produced his monumental edition of Shakespeare’s works…. Modern scholars now take the first one hundred and twenty-six Sonnets to be addressed to the lovely boy. The remaining twenty-eight are mostly addressed to women. 1. Sonnet 107 which mentions the death of Queen Elizabeth in 1603….. The mortal moon hath her eclipse endured…. It also mentions the release, from the Tower of London, of Harry Southampton…..
2. Sonnet 125 which refers to Shakespeare (as a liveried Groom of the Chamber) holding the canopy over King James at his coronation in 1604…. Were’t ought to me I bore the canopy…. This sonnet also refers to the execution of Essex after Queen Elizabeth’s withdrawal of his ‘farm’ on sweet wines…. 3. Sonnet 123 which refers to the coronation obelisks (‘pyramids’) set up in 1604…. Why does Thorpe describe himself as ‘the well wishing adventurer’ who is ‘setting forth’? All publishing ventures are a risk and publishing a book is very much like sending it on a journey…. Geoffrey Chaucer, in the epilogue to Troilus and Criseyde, writes…. 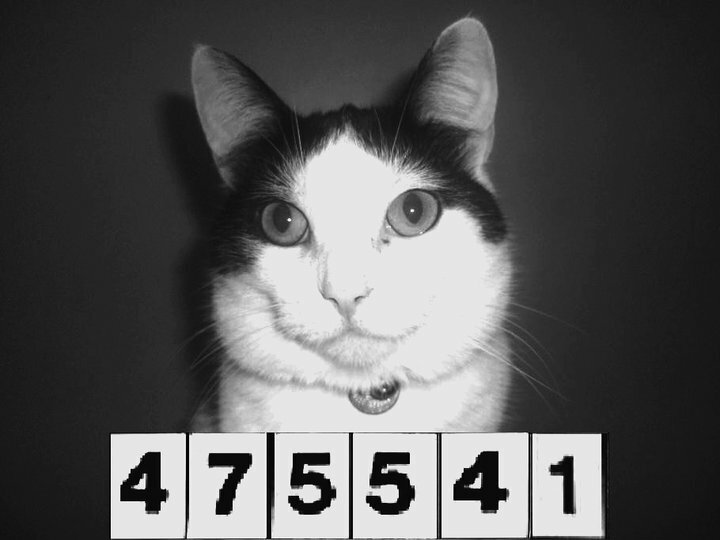 The answer, Your Cat believes, is to make another coded reference to the Earl of Southampton…. Southampton had been involved in the Virginia Company since 1605 and in 1609 became part of the Virginia Company Council…. The ship was called the Sea Venture…. 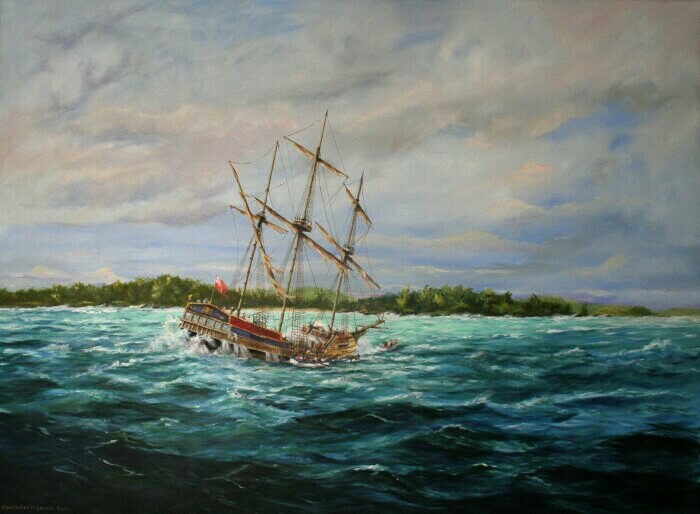 Emigrants bound for Virginia were later described by Captain John Smith…. The Sonnets were registered by Thorpe on 20th May 1609 and the Sea Venture left Plymouth on 2nd June, 1609…. But why does Thorpe write the Dedication rather than Shakespeare? And why does Thorpe hope for ‘all happiness’ for Southampton and why does he wish him ‘well’? The answer is irony. Not to say sarcasm…..
Thorpe knew full well that Southampton would be furious that his affair with Shakespeare was being made public…. So did Shakespeare, who would certainly have had a hand in the Dedication…. The Code firmly believes that Harry Southampton terminated his liaison with Shakespeare in 1605 when he finally produced a son. And Shakespeare responded by wishing his former patron, not immortality now, but death…. In Sonnet 126 he writes…. And her quietus is to render thee…..
‘All Happiness’ was the last thing either Thorpe or Shakespeare wished on Harry. Thorpe wanted a scandal to increase sales of Shakespeare’s Sonnets…. 1. Why did William Shakespeare write the Sonnets? I am totally enthralled!!! This really puts it all in place. I never liked Shakespeare until now. You have made him what he really was: a flawed human being, instead of a super human creature. Why does he use “ever-living” to describe the poet- a phrase used for a person who is dead. Yes, I believe a nobleman used “Shakes-Speare” as a pen name. It makes sense to use “ever-living” if the writer was dead at the time of publication. As increasingly scholars are seeing that the dating of the plays has been an atrociously played game of making them fit the lifespan of one man, we see the validity, more and more clearly, of those scholars who have noticed that no play seems to have been written after 1604. 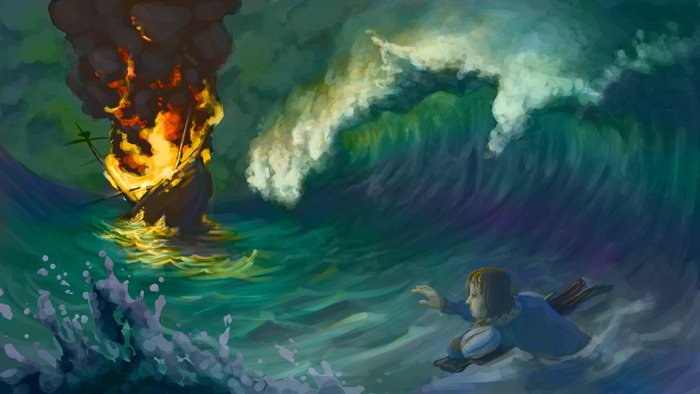 (as has been shown, there were numerous descriptions of sinking ships before 1600). ‘All Happinesse and that eternitie promised by our ever-living poet’. ‘meantime as it is bound to your Lordship, to whom I wish long life still strengthened with all happiness’. In a number of the Sonnets, Shakespeare promises Wriothesley that his verse will make the young man immortal. But by doing so, it will make Shakespeare immortal (as a poet) as well. While he insults o’er dull and speechless tribes. When tyrant’s crests and tombs of brass are spent. Shakespeare is asserting his own immortality – in much the way Ovid, his hero, does in his ‘Metamorphoses’ (See Book 15 ll 871-879). That is why Shakespeare is described as ‘ever-living’ – not because he is dead, but because he will live for ever. Thanks for responding! But, actually, the sonnets- over and over- make clear that they will make their subject (Southhampton) immortal BUT that the poet will be long forgotten once he is dead. Which seems to make them prophetic if he was indeed “ever-living” when the sonnets were published. Leaving aside the question of “who?”, I assume you know of all the sonnets that state directly that the writer of the sonnets will be forgotten but that the object of them will be remembered forever…. I could quote them, but it would be waste of time if you know the sonnets of which I am speaking. Shakespeare sometimes says in his Sonnets that he will be forgotten: but at other times he asserts his genius will give him immortality – along with Southampton. As far as his contemporary, Thomas Heywood was concerned, Shakespeare published the Sonnet himself ‘to do himself right’. Best wishes and Happy Christmas to you. “Ever-living” might mean that Vere (or E. Ver) is still living. To be honest, I think it’s a touch unlikely! You mean you have doubts that Oxford lived past 1604? Or do you mean that you doubt such a word-trick might be part of the puzzle? I think I should make it clear that in The Shakespeare Code’s view the Earl of Oxford did not write the plays and poems attributed to William Shakespeare. ‘Ever-living’ as I explain above is a reference to Shakespeare’s claim that he would achieve immortality in his writing. My mistake. I read quickly and thought you were for Oxford. Happy New Year. #1. The person who he is writing about will live forever via these Sonnets. #2. The name of the person writing them will be forgotten once dead. That is such an interesting coupling of assumptions and the sonnets express it over and over. I love that. I’d like to see how that is made sense of. Thanks! The answer is in Shakespeare’s very human vacillation as to his own worth. Sometimes he thinks he’s a genius – sometimes he thinks he is rubbish. Sometimes he thinks he will live forever in his work. Sometimes he thinks he will be totally forgotten after his death. Very, very human. He is also ambivalent about his lover Southampton. At one level he thinks he has made Southampton immortal: but, after Southampton’s rejection of him, he believes Southampton will end up rotting in a grave, like ‘rendered’ meat. See Sonnet 126. I see 126 as Shakespeare unflinchingly looking at his subject’s inevitable death. This in now way points to a vacillation in his constant claims that his verse will be his subject’s immortality. Are you suggesting that 126 implies that Shakespeare has suddenly reversed that opinion? In response to your more general claim, I absolutely agree with you that one aspect of the sonnets that is wonderful is watching the vacillations of Shakespeare’s feelings. However, I see no evidence that his opinion ever vacillates with regard to his name being lost at death despite his subject being immortalized by the verses. At the very least, we should be fascinated what allows Shakespeare to feel so certain of the “virtue” and power of his pen AND YET also feel certain that his name will be erased from history. Thanks! ‘Shakespeare, Love and Religion’ Part Three. (1) Shakespeare, like many writers, had doubts about his own talent. Sometimes he thought he was the bee’s knees and would be read for ever – at other times he thought he would drop out of favour after his death and his writings dismissed as old fashioned. (2) Southampton – as an aristocrat – would have an elaborate tomb constructed at his death, but Shakespeare would have only a common-place grave. The irony is, of course, that Shakespeare has a monument at Stratford while Southampton had to make do with his likeness as a 21 year old praying at the side of his father’s and grandparents’ tomb at Titchfield. Stewart, I will look at the link right away. So, for instance, while I understand your general point that he was a human who changed his feelings about things, he never seems to waver that nobody will know who he is in the future but all will know of his verses. It would be one thing if we saw him shift from sonnet to sonnet in this regard. But I’m asking if you see any sonnet in which he shifts from his stance that he will be forgotten and, instead, argues that he, along with his verses, will be known. Once he drops the progeny stuff, he is emphatic that through his writing Henry will have an eternal “monument” outlasts any literal monument that will decay with time. You write very well, Carol! Shakespeare, by claiming immortality for his verse, cannot but claim, obliquely, immortality for himself. He shifts this direct honour of immortality to his patron to flatter him: but it’s really only a trick to appear modest! Even when in Sonnet 81 he says: ‘Though I once gone to all the world must die’ he’s really just saying that he will seem to die because he will be in ‘a common grave’ and not in a showy tomb like Southampton. The classic poets, like Ovid, claimed immortality for themselves: but given the rigid class structure of Shakespeare’s time, that would be too great a claim for commoner Shakespeare to make when writing about an aristocrat, his social superior. When Southampton dropped him, though, his writing became very different – both in Sonnet 126 and in ‘King Lear’. His deference completely disappears. Dear Mr. Trotter, I really like Trixie the cat’s opinion and to some degree I agree with you both (Trixie and you) but to better express my partially disagreement on what you wrote in this article I would like to suggest you some readings (actually two not very long PDF documents) on Shakespeare’s sonnets publication. Can I write to you their titles and where to find them? I would like to have your opinion on them. Saul Gerevini. What about the numerical structure of that sonnets that Hank Whittemore writes about? There are 26 Fair Youth Sonnets, followed by 100 Sonnets, followed by 26 Dark Lady Sonnets, plus 2 Little Love God Sonnets (Hank divides the 100 middle sonnets into 10 groups of 10). 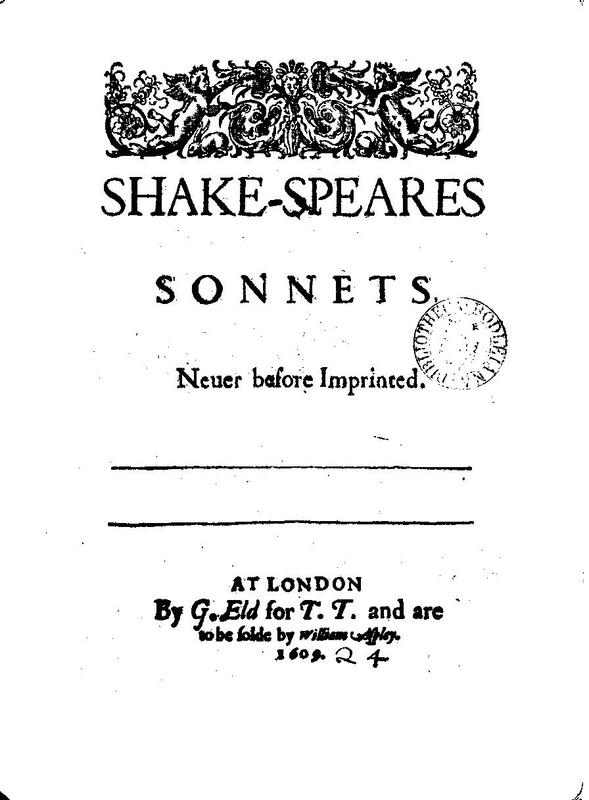 Such an exact structure argues against the sonnets as being a mere collection of bawdy love poetry, but instead strongly suggests that The Sonnets of William Shake-speare are meant to be understood as a complete piece. Dear Bobbleblah, I think you’ll find that this ‘neatness’ is imposed on the Sonnets. They come from wildly different times and in wildly different moods. There is absolutely NO cohesive philosophical – or even artistic structure to them. That’s why they are so great: they are completely like life itself. Best wishes, Stewart. It is your opinion that this easy to follow mathematical order of 26 / 100 / 26 followed by 2 is imposed. Also it is your opinion that they must come from wildly different times. Scholars agree that Sonnet 125 refers to the death of Queen Elizabeth; Whittemore takes it further and deduces an entire calendar based on real events, and in doing so he provides the explanation as to why William Shakespeare was not called to account for his role in the Essex Revolt. I disagree. There was a tradition of using 108 in sonnets and Shakespeare marks a massive shift after 17, which gives us 18 to 126 (108) in a unique grouping (these sonnets are within the group that expresses the poet’s wish and capacity to make the youth immortal through verse). Shakespeare was an artist. Then we get another shift, at 26. All scholars mark this as a very playful and expressive “dedication” sonnet. Shakespeare was a great artist, so we aren’t surprised that 27 marks a new kind of shift, a narrative shift in which we begin to track specific events (mainly their emotional repercussions in the Poet) through the next 100 sonnets. And because Shakespeare was a great artist we shouldn’t be surprised that, oh, wow, after 126, we get another even 26 that are in a unique vein themselves. Most addressed to the “dark” lady and taking an inverse stance on “love”. He was such an artist that we also get to enjoy the way he cross links this last section with the Fair Youth section via a group about the tricky relationship between the mistress, youth and Poet. In the same way that we recognize such organic structuring in his plays and narrative poems, it shouldn’t be too odd to notice the clean distinctions that he makes in his sonnet cycle. Just because he leaves so much to the imagination is no reason to reduce this to a mere collection, methinks. Thanks Saul from Trixie and myself. I’ll follow this when I have some time. Dear Stewart, I do really like your articles, and I love Trixie, I really do. That is why, as you and Trixie requested, I am sending you the link to have access to the two sonnets articles you would be interested in. The site is http://www.shakespeareandflorio.net, then go to the download section and go to Giulia Harding’s section. Here you can find the two PDF articles I mentioned. They are named Sonnets, part one and part two. They have both been written by Giulia Harding that, as far as I think, she is a very well informed independent scholler on Shakespeare’s authorship. I would like to have your opinion on them. Best regards and again: compliment for your site, it is very interesting. Saul. Thanks Stewart, I appreciate :). Saul. I agree with you about the ‘Man of Hews’ being Henry Wriothesley but suggest it also a play on Elizabeth becoming queen on St Hugh’s day. I was impressed with the Guardian article naming William Holme, bookseller, publisher and Thorpe’s associate as the “begetter” of the sonnets. 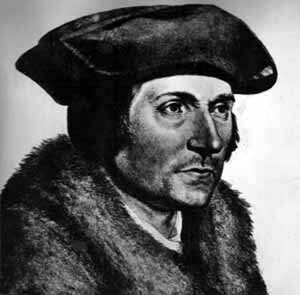 He had published Ben Jonson and other playwrights’ work. and had access to noble and even royal persons. He died and Thorpe suddenly published a lot of works which may have been in Holme’s possession. Possibly. he was Will’s own choice as publisher. It’s the hard slogging researchers wading through law cases and death records who give us things we couldn’t possibly deduce. It’s like the finder of John Quiney’s philandering ways, which suddenly made Will’s will make sense. He wanted to see that Judith and any children she had got something, but Susanah would get the house, and John Q. wouldn’t get to parade around in his father-in-law’s court clothes. Suddenly all the learned arguments, like Joyce’s second best bed,were meaningless. 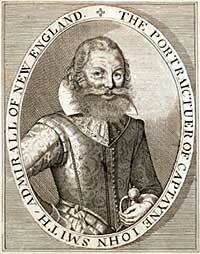 I think the Earl of Oxford, not Walter Raleigh, inspired Armado. Adoring his young page and the homosexual reference to Navarre are pretty strong clues. and Oxford was certainly poverty stricken nobility, dining out on stories, at this point. That Thomas Nash played that page, and the nobility played the nobility. ring true, but Shakespeare himself was unlikely to have played their equal, given his role as poor relation and all purpose servant. Maybe Berowne was played by a Brown cousin, even possibly the future Lord Montague. Was this the one for whose wedding Romeo and Juliet might have been written? Was this play the reason Shakespeare was given that commission? This family certainly had access to the latest literature from Italy. and we know they had the translator if needed. Thanks to you I’ve read The Unfortunate Traveller and Willobie his Avisa. and I’ve been reading the later plays. with their little autobiographical bits. Not done yet, but getting to know this remarkable guy who somehow stayed out of jail but got sick of it all and went home. Dear Cathy, Thank you for your interest in ‘The Shakespeare Code’ and your comments. The character of Don Armado that we have is, I believe, a re-write of the original 1592 character who, I believe, was more clearly identified as Walter Raleigh – down to a Devonshire accent. Raleigh was the enemy of Essex and Southampton – and out of favour with the Queen – especially when he impregnated his secret wife – satirised in ‘Love’s Labour’s Lost’ itself. When the play was next performed in Court Raleigh was back in favour with the Queen – so Shakespeare switched to an attack on the gay Spaniard, Don Perez, who had been part of the Essex circle but had fallen from grace. I believe Shakespeare did play Berowne as it was one of his ways of making himself more an ‘equal’ with the aristos. In my lifetime performers like Noel Coward and Fred Astaire did the same sort of thing – hobnobbing with the Earls in their Stately Homes. Also, if you read the Sonnets you will see that Shakespeare and Southampton were incredibly close as friends and lovers – to the point where Shakespeare felt he could sometimes hurl sarcasm and abuse at the Earl. In ‘Willobie’ you’ll notice that Southampton is referred to as HW and the initial were simply reversed in the Dedication to Mr. W. H.. By referring to Southampton as ‘Mr’ Shakespeare is cruelly reminding Harry of the time when he was stripped of his title after his rebellion with Essex against the Queen. Shakespeare, I believe, printed the Sonnets as an act of revenge against Southampton when Southampton dropped him after the birth of his (Southampton’s) baby boy in 1605. All the best. Stewart.